Historic promotional film from the University of Kentucky Archives. Film preserved and digitized by the MediaPreserve at Preservation Technologies. The MediaPreserve at Preservation Technologies just delivered another amazing digitized film! This is just a brief clip of the original 19 minute amateur film. In 1879, Myron Barker, a major tobacco broker, set up residence on land that he called Richlawn Farm in Carrollton, Kentucky. He raised tobacco and operated as an independent broker until 1902 when he sold his interest to the American Tobacco Co. In the early 1900’s, after Myron’s death, the farm land was owned by Adelaide (Barker) Fisher, Myron’s daughter. She and her husband, William Fisher, built a summer home on the property. In 1918, Adelaide and William lost their house to a fire and they began a rebuilding process over the next five years. Sadly, nearly one year before the home was finished, Adelaide became ill and passed away. At that time, William Fisher sold the land along with the nearly completed home to Adelaide’s brother, Ralph M. Barker (married to Nell Long Barker), whom completed work on Highland House in 1923. Richlawn Farm was significant to citizens of Carroll County as it was a place of social events and gatherings. During holidays such as Christmas and Fourth of July, the Richlawn yard would be elaborately decorated. Ralph M. Barker owned the R.M. Tobacco Company, started the Carrollton Phone System, the Carrollton Cannery and was a prominent local businessman. In addition, he was known for his love of dogs and at one time owned 37 Great Danes. The Ralph Barker, Richlawn Farm Film Collection, ca. 1935-1964 consists of 121 films; 47, 8mm films and 74, 16mm films. The bulk of the collection is amateur home and vacation movies in color and black and white; there are also two Castle Films News Parade reels. The amateur films document the family life of Ralph M. Barker, his friends, and family on Richlawn farm in Carrollton, Kentucky. Common scenes include: Mr. Barker and his dogs; visiting friends; scenes around the home; floods and high water; the Kentucky River and river transportation; Easter activities; Christmas scenes; farm work and activities; setting tobacco; Birthday parties; and Fourth of July celebrations. The films also document Cincinnati Reds baseball games, Florida training sessions and other baseball games and players including: The 1939 World Series; Cincinnati Reds vs. Pittsburgh; Boston Bees vs. Brooklyn Dodgers, 1940; the Yankees and Cardinals in 1940; Cincinnati Reds’ Johnny Vander Meer, Don Lang, Whitey Moore (Lloyd Albert Moore), and others. In conjunction with the 80th anniversary of the King Building (dedicated in October 1931), a newly re-designed permanent exhibit about Margaret Isadora King, the University of Kentucky's first librarian and the namesake of the King Building, is now on view in the Special Collections lobby. Through photographs, artifacts, and information from King's papers housed in Special Collections, the exhibit, The Heart of the University: Margaret I. King and the Library chronicles King's career and the expansion of UK's library. King oversaw the development of the library serving as its head librarian from 1909 until her retirement in 1949. In 1948, the UK Board of Trustees named the library in her honor. UK's president at the time, Herman L. Donovan in a letter to King said, "We...often think of you and appreciate the great work you have done in building for the University a magnificent library. Your life has been spent in a good cause in making books available for students and faculty and scholars..."
Special Collections has recently acquired one of the earliest known letters of Henry Clay. Unpublished, it was written in Virginia, over a year before his move to Lexington in November of 1797. Dated July 16, 1796, it is addressed to Peter Tinsley, clerk of the High Court of Chancery of Virginia and was written when Clay would have been only nineteen years old. The letter, in which Clay discusses his poor health, is a revealing one. Young Clay states that he has “unwrapt his soul” and wishes to make amends for a misunderstanding in his terms of employment with Tinsley. From his appointment with Tinsley, Clay moves on to work with Chancellor George Wythe, the teacher of Thomas Jefferson and James Monroe, and is granted a license to practice law in Virginia in 1797. He was soon afterwards admitted to practice in the Fayette County circuit court, taking the oath on March 20, 1798. 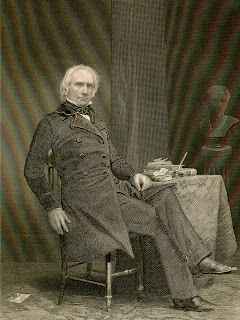 The UK Libraries housed the Papers of Henry Clay editorial project, which produced eleven volumes of Clay documents over a forty year period. The earliest item in the first volume dates to August 22, 1797 and is a legal paper. The first piece of correspondence in the edition dates to December 27, 1798. This new acquisition prefigures all of the printed material in the published Clay papers and sheds significant light on Clay’s precocity and his early association with an important figure in Virginia’s public life. U.K. 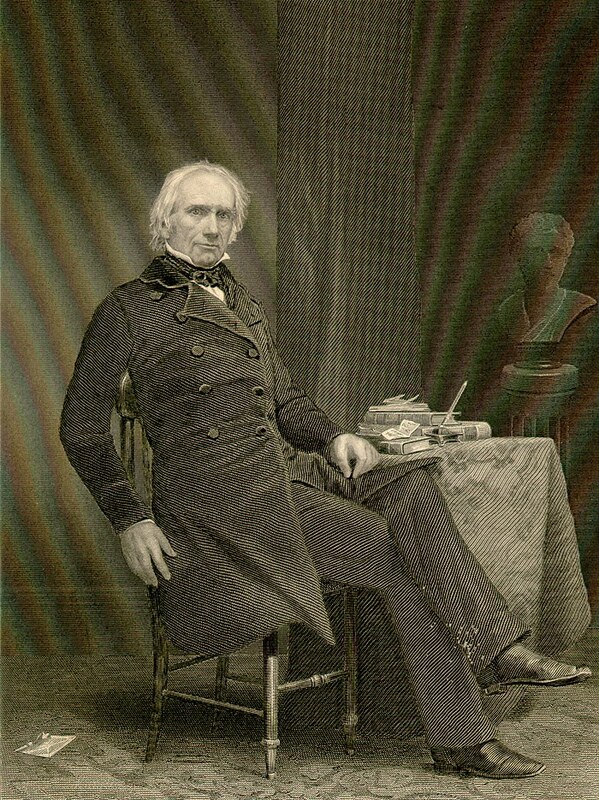 Libraries holds one of the largest collections of Henry Clay letters, rivaled only by the Library of Congress.